Synchronistical combined Lavender, Lemon peel and Spearmint essential oil works together to relax, relieve and deodorise tired feet. 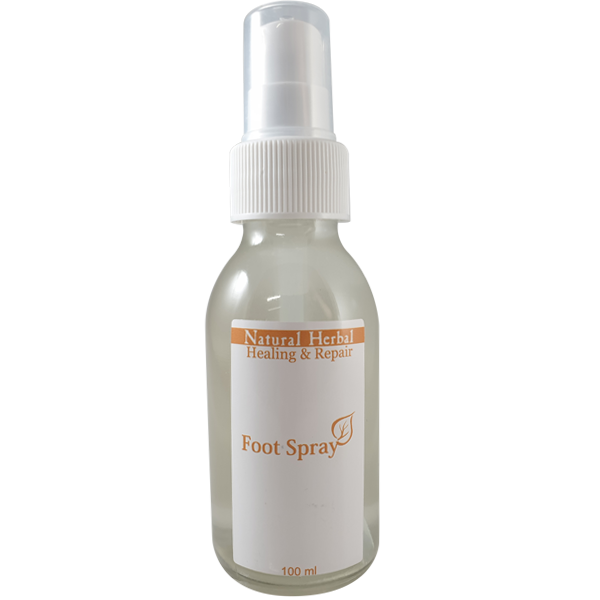 Healing & Repair Range Foot Spray combines powerful antiseptic Lemon Essential Oil with healing and relieving Lavender Essential Oil to create an easing and soothing foot remedy. Lavender Essential Oils further contributes to relaxing and soothing the skin, while Spearmint Essential Oils assists with deodorising the skin. Lemon Essential Oil revives and rejuvenates the skin and feet making them feel more comfortable, and aids the Spearmint Oil in deodorising the feet transferring a fresh, clean and hygienic odour. Spray onto the clean soles of the feet and leave to dry.